How a stand-up comedian-turned-insurance partner leveraged relationships in the entertainment industry to deliver more to his brokers. When I first started in the insurance industry, it was the last place I had envisioned myself. With a background in film and entertainment, I was a member of The Friar’s Club and was making a living doing stand-up comedy. It was long hours, late nights, and required lots of energy. To be honest, there wasn’t much of a future in it for a family man who wanted to have any sort of life outside the comedy scene. That’s when I started looking seriously at the industry I grew up around: disability insurance. While I’m no longer doing stand-up comedy, I still use my passion and skill for storytelling to help in this highly competitive industry. I’ve been told by clients and colleagues that I’m a natural storyteller and it helps open doors. It’s been good for The DBL Center, and I believe it’s been good for our brokers, who enjoy the benefits of our full back-office staff to service all their accounts and can work directly with someone they know and trust, both inside and outside the office. Now, I’ve found a way to use my relationships in the comedy industry to help DBL Center brokers be even more successful. I’m still connected to the comedy industry and after all these years, I’ve found another way to merge the two. Through a unique partnership with Steiner Sports, The DBL Center Ltd. can now line up comedians or sports stars for corporate parties and events, fundraisers, birthday parties, recruitment events and more. Our insurance brokers can offer their clients more with this new offering. In addition to white-glove service for disability insurance and more, plus savings on ancillary benefits, The DBL Center Ltd. provides the means for our brokers to thank long-time customers, solidify relationships, and build your brand as a broker with vast connections across the business world. If you need a unique event idea for your brokerage or for a client, if you want to host a holiday party that stands out, or create a compelling reason for people to attend a fundraiser you’ve organized, ask us. The DBL Center Ltd. is not just about selling insurance—we’re about building relationships. And what better way to build a relationship than through laughter or sharing common interests? We often compare The DBL Center to a five-star boutique hotel, with the best in concierge service to meet your every need. 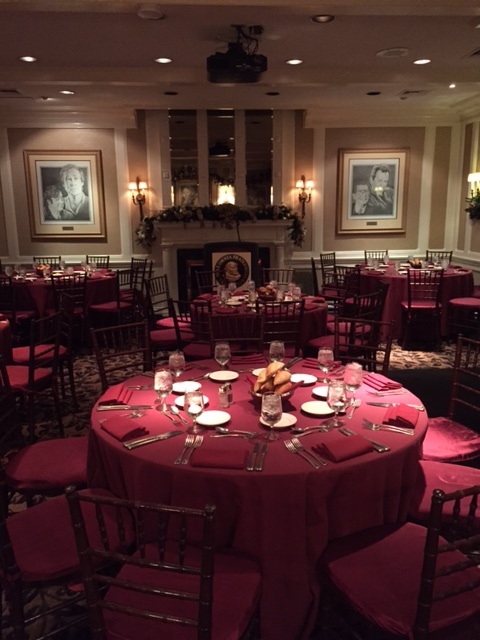 We’ve recently re-defined what service means in the insurance industry by providing the best in corporate event entertainment for you and your clients. At DBL Center Ltd., we’re willing to do whatever it takes to help you grow your book of business. As President of DBL Center, I consider myself extremely fortunate to be able to use my talents and my passion to bring more to our clients. 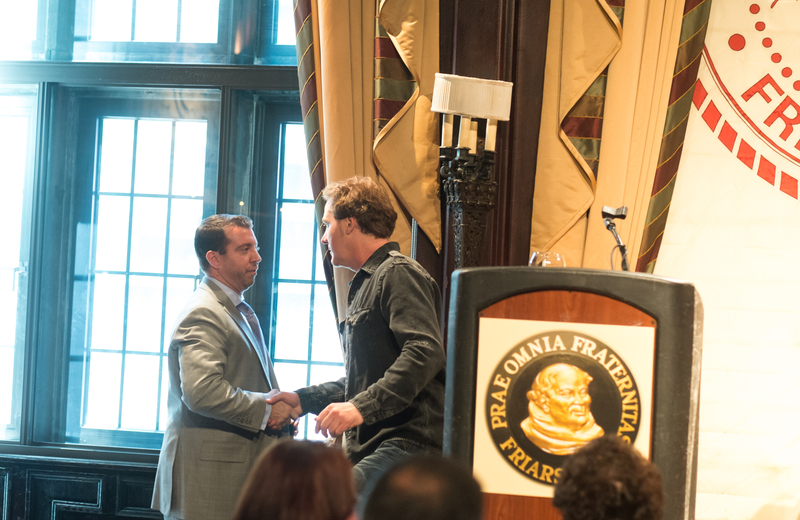 More than insurance: Michael Cohen and comedian Jim Florentine at a Friar’s Club gathering. In what ways have you used your passion—for building relationships, for serving people, and for sales—to benefit your clients and partners? We bet if you think about it, you’ll realize that your career, like mine, was built on a passion for connecting with people. At DBL Center Ltd. we provide the service and back-office support staff you need so you can focus on those aspects of insurance sales that you really love, making it easier to write business for mandatory DBL, TDB, and TDI coverage in New York, New Jersey, and Hawaii, and increasing your profits through ancillary products. Let us know how we can help you build your insurance business today.